The Instinct S30 is a simple bar-style phone. Gone are the corners of last year's model, which have been replaced by smoother, rounder edges. We have no complaints about the size. It feels good holding it in your hand. It is also just narrow enough so that you can get your fingers around it to hold it tightly. It isn't a featherweight device, but it is far from heavy. With its rounded edges and thin footprint, it will slip into even the tightest jean pockets without any problems. 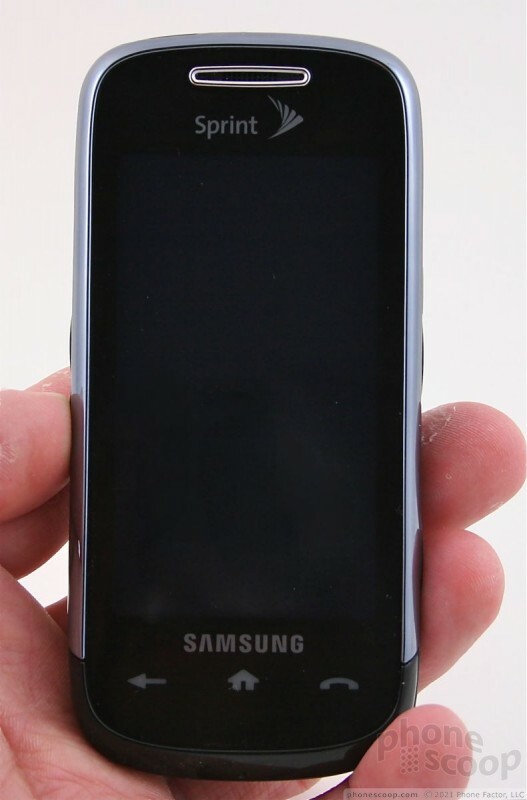 On the front of the S30 are three buttons below the screen: back, home and phone. They are touch capacitance buttons. As with the rest of the screen, they provide haptic feedback when touched. These three buttons worked just fine most of the time. On the left side of the Instinct is the data/charge port hatch and the volume toggle. 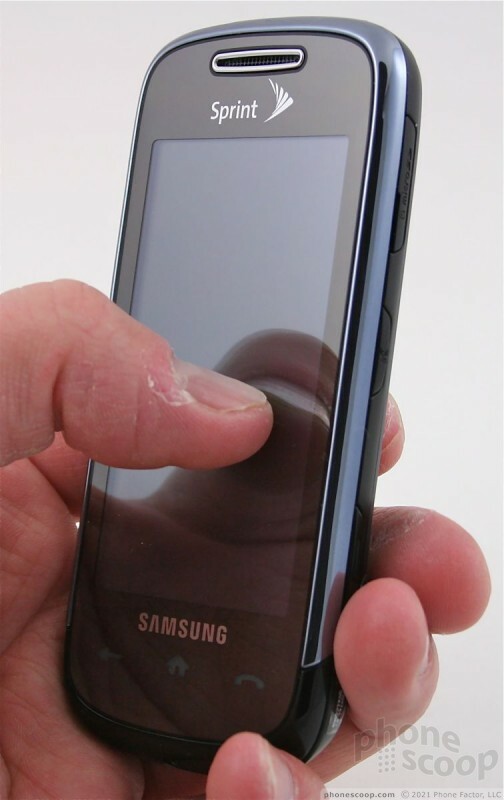 The hatch opens up with no problems, as Samsung provided a generous area for your nail to dig underneath it. I really liked the volume toggle. These bumps let you know exactly what your thumb or finger is touching, as they are distinctive in the way they feel. Travel and feedback of the volume toggle is good, and there is a nice click when pressed. On the right side of the phone is the microSD hatch at the top, with the voice activation key and camera key below it. The microSD hatch is nearly identical to the port hatch. I found the microSD slot to be a little deep. Those with longer finger nails won't have a problem, but me, with my extra short nails, could barely retrieve the card from the slot. The S30 comes with a 1GB card. The voice activation key resembles the volume toggle from the other side, and provides similar travel and feedback. The camera button is improved over the 2008 model; it's easier to find and has better travel and feedback. The top of the Instinct houses the lock/power key. This button is also improved compared to last year's model. It is a bit bigger and easier to find. Travel and feedback were just fine. The one issue I had is that if you accidentally press the button just a hair too long, you'll accidentally turn the S30 off, rather than unlock it. Next to it is the hatch covering the 3.5mm headset jack. I am not a fan of hatches covering headphone ports, but I am sure others can deal with it just fine. The entire back panel comes off with a firm push. Unless you need to pull the battery, however, my guess is most users won't remove it.